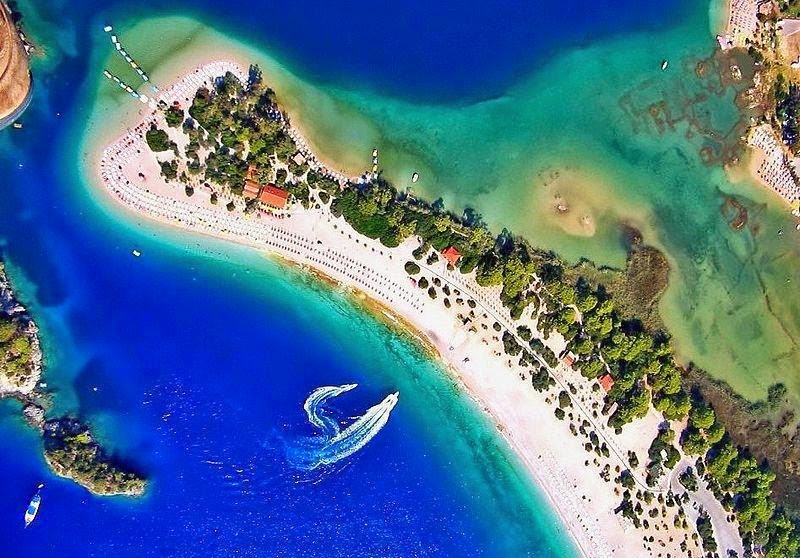 Ölüdeniz, described as ‘the Eden bestowed by God to the World’, has a 3 km long beach. One can appreciate fully the beauty of swimming in a colour harmony of light and dark blue combined with light and dark green. There are many things to do in Oludeniz during your stay. You can paraglide off the 1960 mt Mount Babadag, a tandem flight, with an experienced pilot. This unique experience lasts about 45 minutes and you will have the opportunity to descent over the World famous Blue Lagoon and Butterfly Valley. A priceless action. You can also take the boat tours, the most popular ones are 12 Island Boat Trip from Fethiye harbour or Oludeniz Boat Cruise, which will take you the most beautiful places like Blue Cave, Butterfly Valley and St Nicholas Island. Swimming and snorkelling in the crystal clear water will be remembered for many years.